I rather like the Fancy Free cocktail recipe I found on Serious Eats**. I've done a couple of riffs on it too, but one day, when I was feeling especially celebratory, I decided to try a tobacco infused cocktail and went and grabbed my bottle of (cue heavenly music and little drunken angels flitting about) 23 year old Pappy. RELAX! Sanity set back in and I put My Precious back in its shrine and grabbed the 15 year Old Pap for my experiment. Sorry if I just gave any Pappy fan a heart attack, it was a momentary aberration. 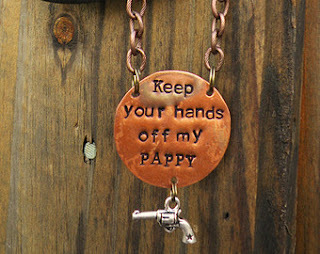 I'm thinking of buying this for my Pappy 23. Pappy Van Winkle is the "be all, end all" bourbon. The 23 year is the penultimate bourbon lovers possession and not to be messed with. Sip it, thank the gods you are blessed to have a friend who has excellent taste, connections and a fat wallet and do not besmirch the Pappy 23 with ANYTHING. Some would be loath to use the 15 year as well, but I was treating myself. Besides, my generous, fat walleted friend always brings his own bottle and leaves me the leftovers. Leftovers, what a word to apply to old Pap. 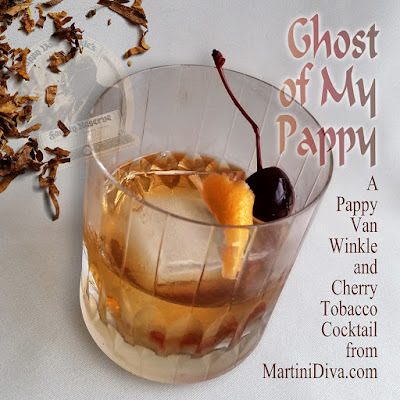 As for the tobacco addition, it was a whim based on seeing all the buzz lately in the cocktail world about tobacco in cocktails and I was in just enough high spirits from a new design contract to go for it and risk two ounces of Pappy in the attempt. 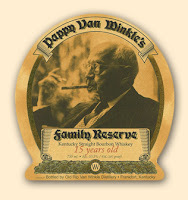 Besides, the 15 year Pappy, a wheated bourbon with a woody, brown sugar and cherry nose and a nutty, vanilla and orange taste, had the right notes to go with the tobacco and the cherry. And Pappy 23 was safely back in his secret domain, safe from any further possible insanity. Of course, what I didn't know at the time and since found out from my friend, the darned 15 year is also hard to get ahold of. Thank the gods, the cocktail turned out great and no Pappy was ruined in the process. In the morning of the day you are going to try this cocktail take one Luxardo Maraschino cherry (per drink) and drop it in just enough of the Pappy to cover the cherry. Let that get nice and drunker all day. Next, prepare your cherry tobacco infusion*. Mist the glass with a quick spritz of the Aromatic Cherry Tobacco Infusion. If you don't have a cocktail mister, simply wash the glass interior with the tobacco infusion. Add your ice cube or sphere then pour in the Luxardo, then the Pappy and give this about 12 stirs with the bar spoon to chill. 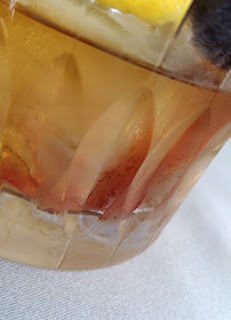 Drop the orange bitters on top of the ice then garnish with the Pappy soaked Luxardo Cherry and serve. I took a teaspoon of Gawith Hoggarth & Co. Top Black Cherry tobacco and dropped it into a bit of Pappy in a very small glass bottle. 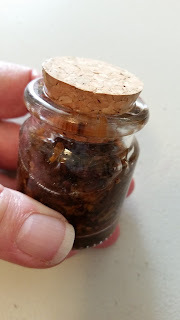 I let that infuse for a few hours, just until I got that hint of cherry and tobacco. I didn't want it too powerful, just enough to lend the smoky tobacco and a little extra cherry into the cocktail as a teaser. When the cherry and the tobacco hit your nose your infusion is ready. Strain the tobacco out of the infused bourbon and pour the infusion into a cocktail mister. There should be just enough to mist two cocktails. I loved this cocktail and I really loved how the extra Pappy, Luxardo and juice from the cherry dripped down a bit to the bottom making my last sip have a little extra kick. To be honest, I didn't get a big tobacco hit from this, a little whiff at first sip and just a little extra hint of smoke, and that's probably not such a bad thing, after the fact. Yes, at the end I also tossed back that little dram of Pappy that I soaked the Luxardo cherry in. I'm no fool. By the way, my above mentioned generous friend threatened to take back all of the leftovers when he heard of this "folly" and vowed never to leave a bottle in my hands again. Then I made him one and he shut up about all that nonsense. I love you, JP, but you can be a pill. Here's a great post on the timeline of how Pappy Van Winkle became the most popular bourbon around. ** Dear Serious Eats, I love you but I will no longer link to you because all the video ads and scripts on your website crash my browser and I don't want to pass that issue on to my readers. Let me know if you ever kill them and I'll link again. 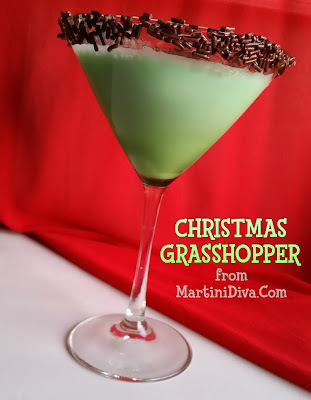 The Grasshopper cocktail was created back in 1919 by Philbert Guichet, the owner of Tujaque's in New Orleans, as an entry for a cocktail contest in New York, and Guichet too home a second prize for his recipe. His classic Grasshopper consisted of equal parts green creme de menthe, creme de cacao and cream, shaken together with ice, then strained into a coupe. Here I've instilled a little extra Christmas cheer by adding chocolate vodka for a much merrier holiday. 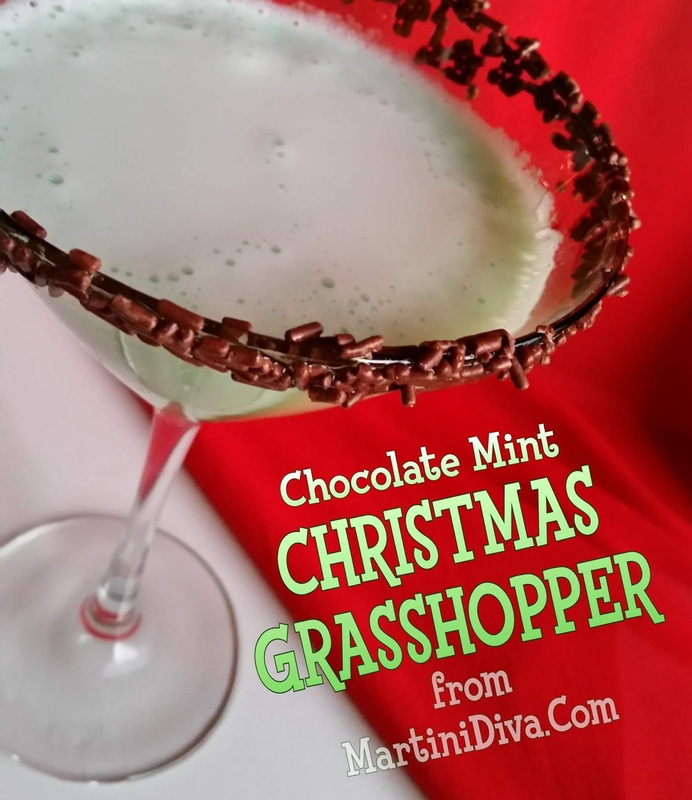 Something not found in the classic Grasshopper Recipe. Drink responsibly, no sleigh driving after these. Dip the rim of your cocktail glass into simple syrup, then dip into the chocolate sprinkles. Fill a cocktail shaker with ice, add the chocolate vodka, creme de cacao, creme de menthe and half & half and shake until well chilled. Strain into your chilled glass and serve. Feel free to add a fresh mint garnish if you like. I actually forgot about my mint because it's in my little greenhouse being protected for winter!